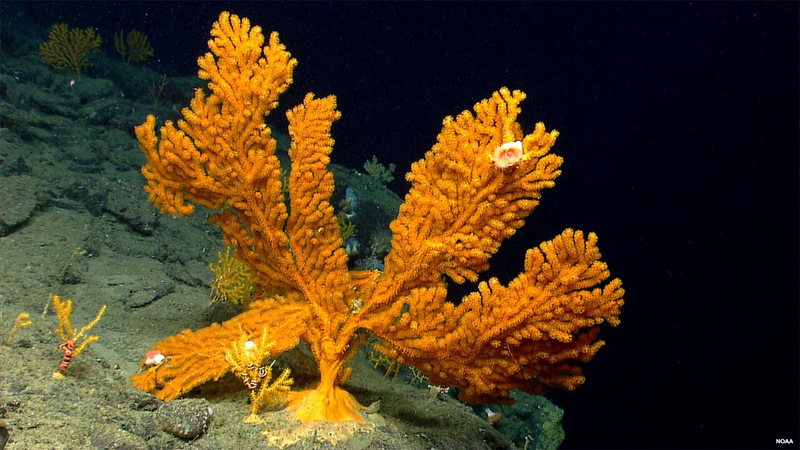 Northeast Ocean Data has updated its Data Explorer interactive map to show the Coral Protection Zones selected by the New England Fishery Management Council (NEFMC) to be included in the Omnibus Deep-Sea Coral Amendment. The Coral Protection Zones include two areas in the northern Gulf of Maine and a large area in waters deeper than 600 meters south of Georges Bank. Deep-sea corals are fragile, slow-growing organisms that play important roles in the marine ecosystem, including as habitat for commercially important fish species. The NEFMC conducted a multi-year process to identify areas inhabited by deep-sea corals with the intent to reduce impacts on these organisms while also considering potential impacts to fishing stakeholders. Trawls and dredges will be prohibited in these two areas, located approximately 20-25 nautical miles off the eastern Maine coast. Other types of fishing gear will be allowed, including lobster traps. This 25,153-square-mile zone will be closed to bottom-tending fishing gear, meaning both mobile gear such as trawls and dredges and fixed gear such as traps and gillnets. The Council approved an exemption for the Atlantic deep-sea red crab pot fishery. Before selecting the 600-meter minimum zone, the Council considered several other draft alternatives. To support that decision-making process and public comment, Northeast Ocean Data collaborated with the Council’s staff in 2017 to make the draft alternatives publicly viewable on the Data Explorer map, where they could be overlaid with other types of data such as fishing vessel activity and predicted coral habitat. Now that the Council has made its final decision, the other alternatives have been removed from the Data Explorer; for reference purposes, the draft alternatives are still available in a downloadable database on the Data Download page (see “Commercial Fishing” section). In addition to the three coral protection zones, the Council voted to establish a Dedicated Habitat Research Area covering 40 square miles in Jordan Basin. The Council is proposing no fishing restrictions for the Dedicated Habitat Research Area. Instead, the intent is to direct additional research on corals and fishing gear impacts to this area. Select “Commercial Fishing” from the list on the “All Layers” tab. Scroll down to “Draft Alternative Management Areas”. Select “Coral Amendment – Final Council Preferred Alternatives”.